Getting toned. The Clones 25i (€629) is a feisty, fruity-sounding 25wpc integrated. You can read my full review of the Clones 25i inside issue 63 of TONEAudio (P192) but I’ve since taken to some additional listening. We can’t necessarily refer to Clones Audio CEO, ‘Funjoe’, as this integrated’s designer. Instead, let’s call him implementer. This amplifier’s circuit is a direct descendent of Kimura-san’s 47 Labs Gaincard – a Gainclone – deploying TI LM3875 chip-amplifiers at its business end. Funjoe’s flavouring can be found in what surrounds those chips: the boards, connectors and casework. Thankfully, the 25i’s sticker (US$865) doesn’t water as many eyes as the 47 Labs original which still sells for US$3k and up. 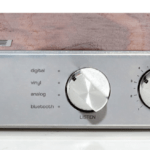 Bringing audiophiles into the world of Gainclone amplification for less than a grand is a job well done, something almost attained by Peter Daniel’s Audio Sector Patek; a shade more expensive at US$1250. Pulling back the curtains on audio memory, I’d peg the Patek as faster but tonally leaner than the Clones. The 25i might not pack as much juice as the NAD D 3020 but, matched to an appropriately sensitive loudspeaker, is far more convincing with decay and finesse. The Hong Kong shoebox brings a classier sound than the future-facing NAD. 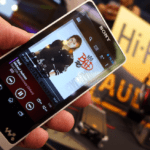 Prospective buyers weighing up the two will want to first decide how much they need the D 3020’s inbuilt DAC and Bluetooth streaming. There are no such frills with the Clones – it’s an amplifier and amplifier only. Kimura-san’s emphasis on short-as-possible signal paths won’t even allow for remote controlled volume. Another rival might be the Rega Brio-R which swings MM phono staging into the bargain. These two amplifiers could not sound more different. The Clones favours fluorescent-light inner illumination and a trade down on acoustic mass to underscore intra-player separation. The Rega is closer to a 60-watt filament bulb – warmer but a little murkier. Detail freaks should opt for the Clones, no question – it prioritises timing and transient precision for a result that’s as good as it gets for electronic music in this price bracket. Those looking for something to sand the edges off brighter upper frequencies and ladle in more portly tonal mass will find the Rega more enchanting. 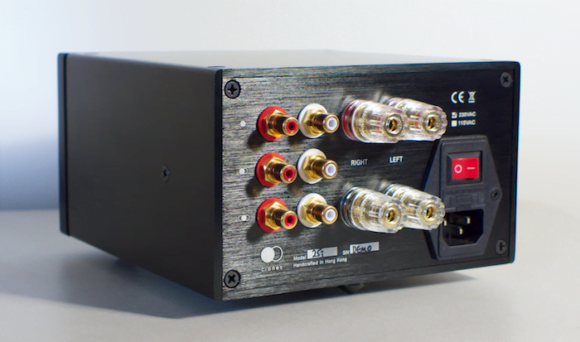 The Resonessence Labs Herus is a price commensurate DAC partner that doubles-down on the Clones’ resolution; despite being one of the best in its class, the Herus’ detail-before-density priorities are typical of DACs at this price point. Finding D-to-A conversion that can fatten the cow is perhaps too much to ask when looking for something Clones’ price commensurate. Instead, we must seek out a loudspeaker that plays thicker with tonal mass. In my review for TONEAudio review I nominated the Wharfedale Denton as suitable 25i dance partners. That’s because they play a little like Junior Harbeths. At the 25i’s core is a lean steak with plenty of pan sizzle. Loudspeaker matching requires careful consideration. When paired with the Zu Soul MKII, things stay just the right side of tolerable with midrange caffeination but the Clones isn’t as proficient as the REDGUM RGi60 in counterbalancing the Zu’s occasional tendency towards autumnal dryness. The Zu gives air-time to the occasional hint of white-hot glare in the upper-mids but certainly nothing that spoils the party. 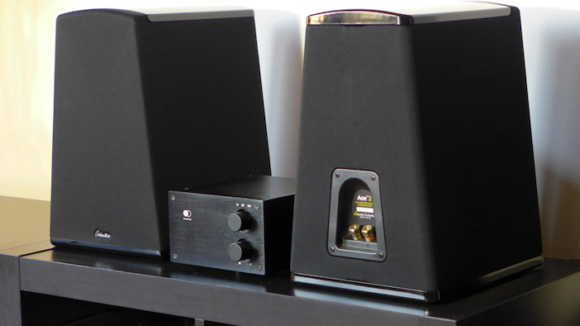 A more copacetic match presents itself in the GoldenEar Aon 3 standmounts (US$999/pr). I’ve raved before about the smaller Aon 2. 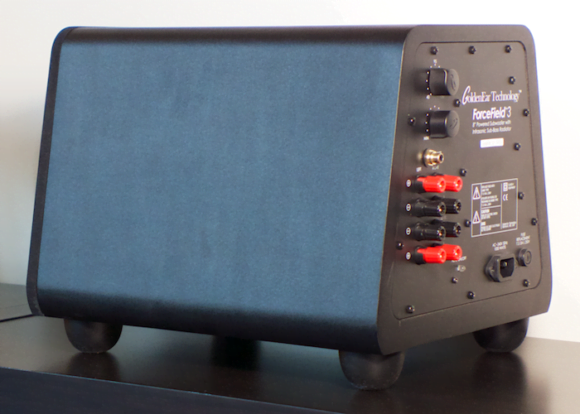 The Aon 3’s larger cabinet allows for a 1″ gain in bass driver diameter and an extra 1.5″ on the side-firing radiators. 90db ensures a none too onerous load for our amplifier. Thankfully (and expectedly!) the Aon 3 showed no evidence of the bass driver maxing out its excursion path when pushing deep electronic kick drums into bigger spaces – my only gripe with the Aon 2. They play Recondite’s Hinterland flawlessly . However, an ability to go deeper lends the Aon 3 a richer tonal balance than its younger brother, especially in the mid-bass. There’s more butter for the Clones’ fruity acidity to cut through. Think of the GoldenEar standmounts as cream for the Clones’ bowl of strawberries – highly complementary. Those with an aversion to a pregnant, pendulous lower end might consider inserting GoldenEar’s matching subwoofer between amplifier and loudspeakers. The Forcefield 3 (US$499) applies a high pass filter to the incoming signal, removing some of the low frequency burden from the Aon 3, for less crowding between upper-bass and midrange. With off-board sub in tow the Aon 3 begin to approach the Aon 2’s cleaner, more spritely vibe. 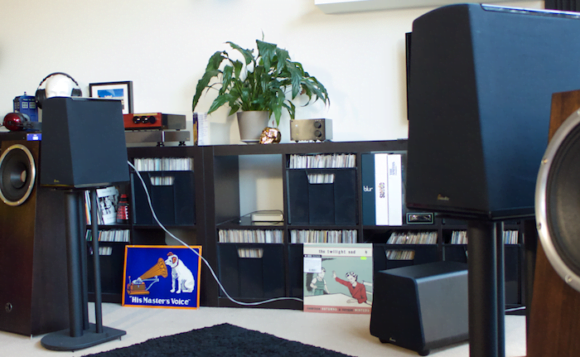 Bass can then be positioned and dialled in independent of the left/right mains; a more flexible way of meeting one’s low-frequency needs without overloading the room. I’ve not heard the Clone 25 amp but I do own Audio Sector’s Patek gainclone amp and agree with your recommended pairing with Wharfedale Denton 2’s which I also own. I fell in love with the Patek amp when I owned at pair of Harbeth SHL5 speakers. The warmer presentation of the Harbeth/Denton’s adds a dash of cream to sweeten the caffeinated neutrality of the gain clones. Have you tried using a bridge-amp configuration using the Clones? I found bridging two Patek amps improved dynamics and speed. Hey Glen, I’m delighted your experience aligns with my own. Additional data points like yours are of value to readers even more so. Not tried the bridge amplifier combo but glad it brings more of the Patek’s essence your way.